Great! Now you know why I was excited, right? 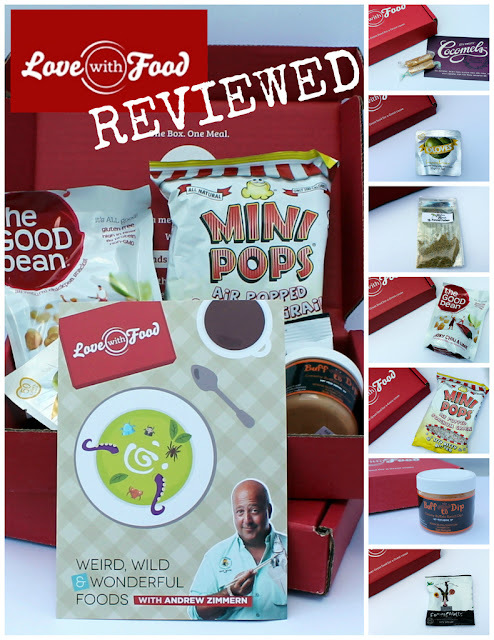 Who wouldn't love one of their favorite subscription boxes with a touch of Andrew Zimmern? Exactly! Are you wondering yet what was in the box? two all natural, dairy free, gluten free, GMO free, vegan coconut milk caramels. They were amazing - so coconut-ty, creamy and melt-in-your-mouth good! The Good Bean Smoky Chili & Lime chickpeas - very spicy but great as an after dinner snack! They have several different flavor available and this definitely makes me want to try them all! Oloves Lemony Lover pitted green olives - so good and one of my favorites! Only 50 calories per pouch and oh so good! Somersault Snack Company salty pepper nuggets. We love all products from Somersault Co. and love these as well. They are nice and peppery and great when you need a savory snack! Fennel Pollen - I cook a lot with fennel and these fennel pollen are amazingly flavorfull! I could smell the sweet fennel smell before even opening the box and one needs very little to add a lot of amazing flavor to anything from soup over steak to salads! Buffolo Ranch Dip - MY FAVORITE! So finger lickin' good! 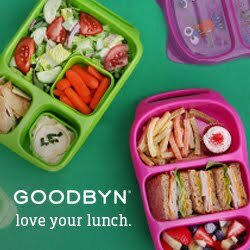 I love trying new things and there are always amazing things in the Love with Food boxes. I love the price as well: $12 shipped for 8+ gourmet snacks and they'll donate a meal to a hungry child as well. Loved my review and want to try this box for yourself? and if you use code NINABELLYVIP - you get a $2 discount and get your first box for $10 shipped! Open to US Residents only. The winner will be notified via email and has to respond within 48 h or a new winner is drawn. Oh wow! I HAVE to have one of these boxes!!! I love bizarre foods! :) I don't know what I'd expect to see in the Andrew Zimmern box, but I'd hope for it to be something spicy! Interested in the Good Bean Smoky Chili & Lime chickpeas - will have to look for these somewhere! This would be so awesome! I love cooking something new! I got this box, but had to reduce my subscriptions, so cut all the non-GF ones. Our favorite was the pooped sorghum! If I win, send it to Rachel! The Andrew Zimmerman box.. haha, it could something spicy or even monkey brains ;) kidding! You had me at coconut caramels. I will like to try all! Everything looks so yummy! This looks awesome. I've wondered about this subscription before! I'd try it all! Yay! A box with healthy stuff!!! Would love to try this box with my family! That buffalo ranch dip looks awesome!! Somersault Snack Company salty pepper nuggets...looks delicious! Would love to try them. Everything looks incredible - how can you choose just one?! A friend of mine gets love with food! Would be awesome to try! The Buff Dip looks yummy! I want to try the olives. Always a favorite in my household! I would want to try the fennel pollen. I love regular popcorn and would try the Sorghum Grain Mini Pops.